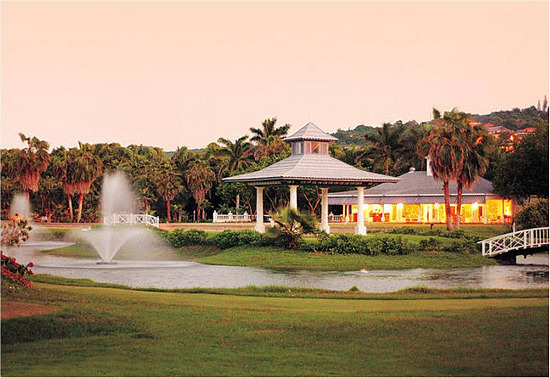 Both elegant and exotic, Half Moon in Montego Bay, Jamaica provides the ultimate setting for couples to create a personalized, innovative wedding that seamlessly incorporate centuries old traditions with the latest trends. With the beautiful backdrop of Jamaica, Half Moon is offering the ultimate affordable destination wedding package – Allure – at a five-star resort for an all inclusive price of $17,000 for 50 guests and $13,500 for 30 guests. While we’re still in the midst of coming out of a grave economic condition, Half Moon remains a perfect place to tie-the-knot at a much less expensive price, without compromising taste, than simply getting married in your hometown. And Half Moon has created a package amendable for all, not just the bride and groom. It isn’t required for guests of the wedding to stay at Half Moon. They too have money-saving options like staying at a less expensive hotel/resort. Below are details of the year-round Allure package. Half Moon's Allure wedding offer includes everything the couple needs for a wedding celebration for 30 family and friends. Couples may personalize this package with additional options to suit their individual wedding needs, and to reflect their personal taste. Rates are subject to 10% tax and 15% service charge. Tax and service charge may be subject to change without notice. This special may be withdrawn at any time, is capacity controlled and may not be combined with any other promotion. The following documents should be forwarded to the resort at least one month prior to your wedding date. Bride and groom must be in Jamaica for a minimum of 24 hours. HALF MOON MAKES IT HAPPEN. A stately Caribbean oasis bordered by twin crescent-shaped beaches, Half Moon offers 197 spacious rooms and suites and 33 expansive four-, five-, six- and seven-bedroom villas all with private pools and personal staff of butler, cook and housekeeper. Activities offered include 2 mile-long white sand beach, Robert Trent Jones Sr. designed 18-hole championship golf course, Fern Tree, The Spa at Half Moon™, 13 tennis courts, squash, equestrian centre, fitness centre, spa, superb cuisine, 54 swimming pools, water sports, dolphin lagoon, shopping village, including 24-hour medical centre and more….